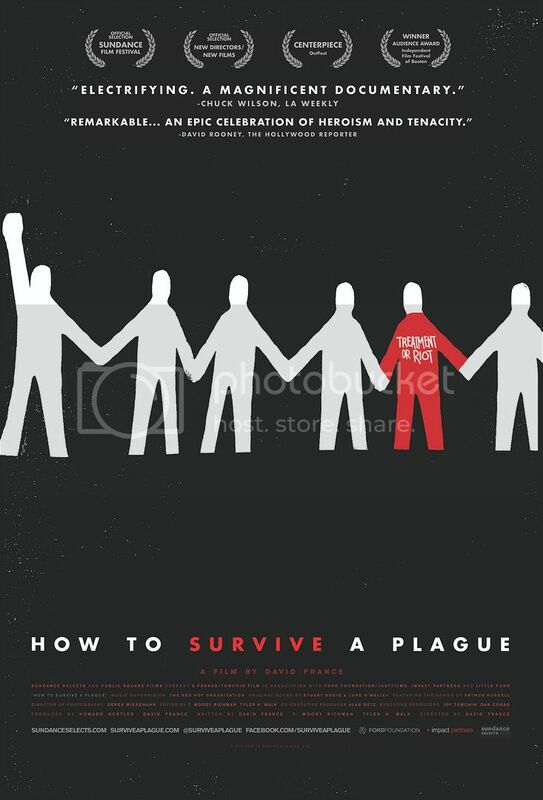 How To Survive a Plague film poster and stills ©2013 Public Square Films, all rights reserved. The history of science movies nominated for Oscars is not a very long one. Aside from the technical achievement awards or an occasional nomination for acting merits, the Best Picture category has historically not opened its doors to scientific content, save for notable nominees “A Clockwork Orange,” “District 9,” “Inception” and “Avatar.” A documentary about science has never been nominated for the Best Documentary category, until this year, with How To Survive a Plague, Director David France’s stunning account of the brave activists that brought the AIDS epidemic to the attention of the government and science community in the disease’s darkest early days. “Plague” set history last weekend by becoming the first “Best Documentary” nominee with an almost entirely scientific/biomedical narrative. More importantly, it also established a standard by which future science documentaries should use emotional storytelling to captivate audiences and inspire action. ScriptPhD review and discussion under the “continue reading” cut.